It is only the second day of the World Economic Forum Annual's Meeting 2013, but I have to admit I am starting to see traces of the so-called "Davos fatigue" creeping in among the attendees. And it is unsurprising. 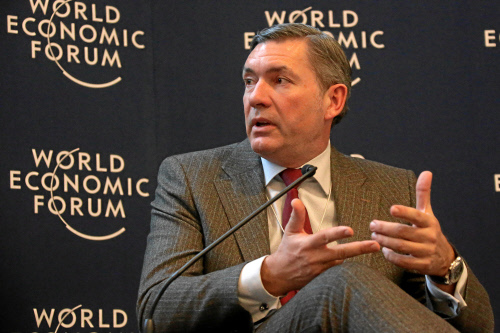 As the CEO of an automobile company put it, "The meetings are content-heavy, you're interacting round the clock with highly sophisticated individuals and you have to walk around scattered meeting points all over Davos." The intensity of the activities here is slowly taking its toll. Every last spot at the conference venue is being used to host roundtables and meetings. The most unusual location I have seen this year was a (drained) swimming pool converted into a meeting room. There is even a rumor that the most desperate of the Davos participants are organizing meetings in a sauna! Under these conditions, that does seem almost appropriate. Cameron's speech made many in Davos uneasy, as this could create uncertainty among investors as well as British firms reliant on tight networks with the rest of Europe. My impression is that Cameron tried to smooth some ruffled feathers today, pointing out that he actually does not want the UK to "turn its back on the EU", but rather he was only pressing "for a more competitive, a more open, a more flexible Europe." While Cameron's announcement of a referendum could be regarded as a political tactic with an uncertain outcome, I must say, his assessment of the state of the EU is widely shared. 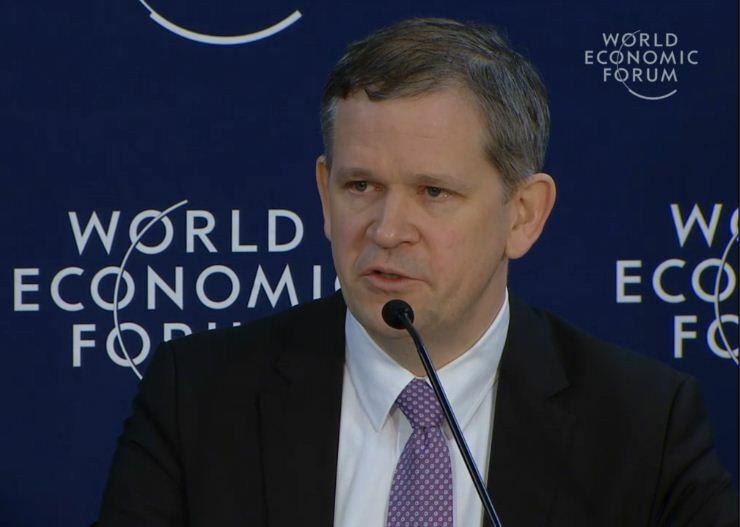 Europe is losing ground in terms of innovation and competitiveness, and this is a common refrain in Davos. Roland Berger Strategy Consultants addresses this issue in an Insight Report entitled "Rebuilding Europe's Competitiveness" that we jointly produced with the WEF. This report has identified best practice competitiveness measures across Europe that can serve as an inspiration for countries willing to reform. For me, the key points of the competitiveness study are: (1) develop and mobilize talent, (2) enhance innovation and support entrepreneurship and (3) use the full potential of liberalizing product and service markets. The analysis of the competitiveness study may be shared by Davos participants, but the fundamental question always is: How? According to the report, the "How" requires the concerted efforts of politics and business to include all stakeholders and ensure consistent implementation. Roland Berger Strategy Consultants Executive Committee Member Bernd Brunke at the press conference to launch the report "Rebuilding Europe's Competitiveness"
German Chancellor Angela Merkel said that "budget consolidation and economic growth are two sides of the same coin", and warned against reducing the pace of reforms in the eurozone. She also remarked that the Annual Meeting's theme of "Resilient Dynamism" was "fitting" because it echoed her own calls for a system that could withstand economic upheavals. 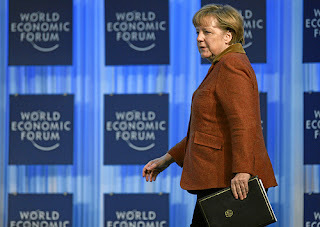 Ms. Merkel probably did not offer anything new in her speech today, but as we've already established, in Davos and elsewhere, actions are still more valued than words. Keeping on watching this space for more bulletins. 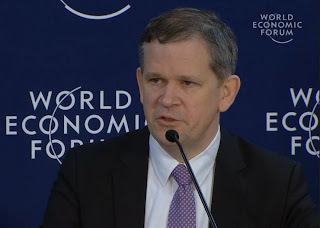 Get real-time updates from Torsten Oltmanns in Davos and follow him on Twitter: @TorstenOltmanns.